Figuring out who to work with to sell your life insurance policy isn’t easy. There are about 30 companies that buy life insurance policies and even more who can help you find a buyer and navigate the process. The first step is understanding the difference between a life settlement broker and a life settlement provider. Life settlement brokers are state licensed professionals who represent life insurance policyholders in the life settlement process and negotiate on their behalf with life settlement providers. Brokers must be licensed in the home state of the policyholder. Importantly, brokers have a fiduciary responsibility to represent the policyholders best interest. For this representation they take a commission, which is usually at least 10% of the payout. Life settlement providers are state licensed companies that can purchase life insurance policies on the secondary market. Life settlement providers purchase policies for their own accounts or on behalf of institutional investors. Life settlement providers do not have a fiduciary responsibility to policyholders. If you are confident in your ability to navigate the process and hate paying double digit commissions you might opt to sell your policy directly to a provider. On the other hand, if you are new to the process and prefer work with an expert it likely makes sense to work with a broker. Whatever you choose, we are here to help. 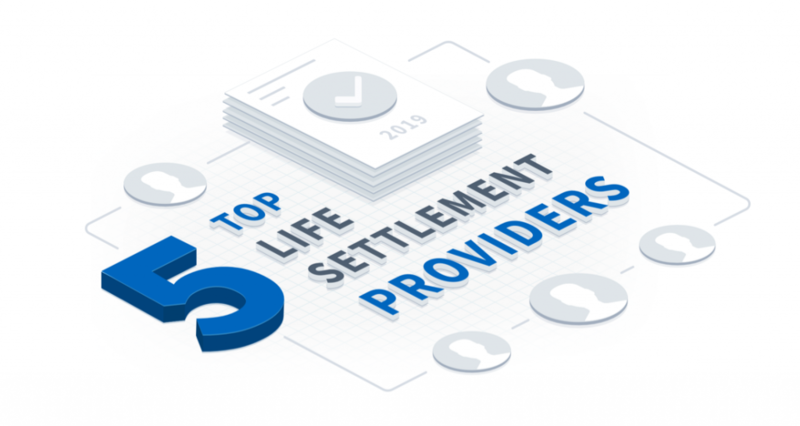 We at Mason Finance have tested, called, and researched a wide range of life settlement brokers and providers to come up with our top 5 for each. Read on to learn more. 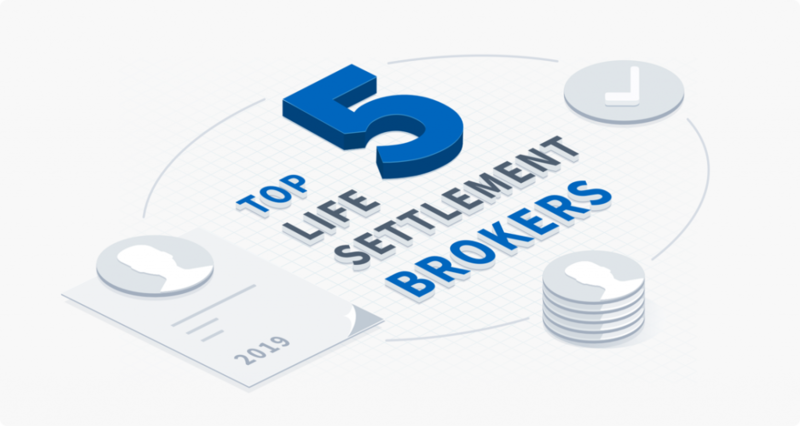 Here’s our top 5 life and viatical settlement brokers, in no particular order. Brokers are life settlement companies that represent policyholder’s best interest in the settlement process. In business since 2003, Ashar Group is a family run business that takes pride in their reputation for “doing things the right way” – and it shows. When we called their main line to get more information on settlements, there was no automated machine, and in an under a minute we were talking directly to their CEO, Jon Mendelsohn. Jon is one of the foremost experts in life settlements (google him), but that didn’t stop him from giving us 30 minutes of his time to thoroughly explain the players in the space, and even advised us on how best to notice red flags with other providers/brokers – all for free and without obligation. The company has an A+ rating from the better business bureau, and they strive to be both very transparent with who qualifies. Licensed nationally, and with people on the ground in many major metropolitan areas, Ashar is a great choice for someone who wants to get a personal touch and have confidence in the person they’re doing business with. In business for 18 years, Welcome Funds is the most tenured broker on our list. And with 18 years of business, comes a professional process. Welcome Funds provides a free appraisal, handles your third party life expectancy estimate (once you provide 5 years of medical history), and they present your policy to every provider in your state – allowing you to decide which bid is best for you. Their customer service was excellent, with staff who were both knowledgeable and patient on the phone. However if you prefer to educate yourself, Welcome Funds also has excellent pages on life settlement eligibility and applications by state. One of the first things we noticed about Windsor was their organized and cohesive online resources, including a life settlement calculator, a primer on who qualifies for policies, and a list of cities and states where their brokers have a presence. It was great to see a page specifically dedicated to the risks and considerations when getting a life settlement, such as high broker fees, privacy concerns, and an upfront warning about the length of the life settlement process. With large dollar amounts at stake, it’s reassuring to see life settlement companies that take time to educate customers on the pitfalls of the industry, even if there’s not a monetary benefit for them. They even have a cautionary article, 5 reasons not to get a life settlement. Genesis has a lot of unique qualities bringing it to the top 5 in our list. First off is speed. While many companies can take 90-120 days for their applications to be completed, Genesis does their applications in half that amount of time. Part of the reason is because they handle everything needed for paperwork – including seeking out your medical records and illustrations. All you need to do is sign 3 basic forms with your information, and release them to gather documentation on your behalf. On top of that, they underwrite policies that oftentimes others won’t. What this means if if another broker/agent says you’re too young or your policy too small to be worthy submitting, Genesis will take it, and let the providers decide for themselves. Licensed nationally, Genesis has a transparent bid process to go with their easy application. A small company of 5 people, they take the time to show the steps of your selling process, so you can rest assured you’re getting the best price for your settlement. One of the big things we look at when analyzing brokers and providers is their customer service, on both phone and email. However, one of the areas we often forget is online portals. And that’s exactly where Amrita excels. Amrita is a site dedicated to bringing you the best services of a broker at the disposal of your fingertips. Amrita is one of the only sites that has an online portal which allows you to view, accept and decline bids right from your own computer, instead of having to communicate back and forth with a broker. Their online calculator reflects their commitment to a simple, yet effective online presence, and is arguably the best one we encountered on this list. Here’s our top 5 life and viatical settlement providers, again in no particular order. We’ve also highlighted the areas each performed best. Providers are life settlement companies that purchase policies. One of the largest providers, Magna Life Settlements scored really high for the ease of their site and process. Their homepage features an easy to use calculator to roughly estimate your settlement’s worth (and your eligibility) in seconds. Additionally, their policy owner settlement page has a great checklist of paperwork needed, a 5 step breakdown of the process, and a downloadable application. The listed pre-approval wait time can be 5-7 days, which is average. A big plus is Magna’s size allows them to established to do business in all 50 states. The downsides are despite having a streamlined process, it has a little less “brochure material” than other sites.It’s not the best place for someone unfamiliar with life settlements to do research. Magna may also not be the right fit for younger seniors, or those in good health. According to the calculator, individuals considering themselves “healthy” have to be at least 85 to be eligible for a settlement. The smallest provider by volume on our list, Berkshire Settlements is an excellent provider for those who know what they want and are seeking specificity. The company is the only we’ve seen that has a link to state-specific application paperwork, which is very useful considering the rules and process can differ by state. Berkshire also features a consultation created specifically for those seeking a viatical settlement due to cancer. While the site is clean, it does lack some features like an instant policy calculator, and their customer service number was less responsive than others we tried. However, this may be negligible for those who prefer to schedule a consultation and be contacted. If you’ve done any sort of research for life settlements, you’ve undoubtedly come across Coventry, as it’s currently the largest player in the life settlement space. However, despite handling large volume, Coventry maintains its personal touch, with the most responsive and helpful customer service we encountered in our research. Their number goes direct to an individual (not a machine operator), and there was no wait time in the several times we tried. The one downside to Coventry is that their website is not super easy to navigate, and it took us a few tries from the homepage before actually getting to their pre-approval page. The site currently does not feature any direct applications – you need to fill out a pre-approval form and wait for them to contact you. A growing player in the direct-to-consumer market, Abacus prides itself on providing some of the fastest offers in the industry – sometimes in as little as 24 hours. This by far the fastest pre-approval process we’ve seen, as the average time to hear back is 5-7 days and often takes more than a week. The site even features ‘Abacus Express’ for agents, streamlining the speed of their process across the board. Another benefit of Abacus is it features a broad purchase range – most notably the purchasing of term policies – making them a great use case for those who might not have a universal life insurance policy. It also features a basic yet helpful learning center for those still new to the process. Another smaller provider on our list, Q capital is great for a policy holder seeking simplicity. Their homepage clearly features a calculator, consultation options, email, and contact numbers in plain site. Their questionnaire for estimated eligibility is only 3 questions, and requires no information that’s not readily available. However keep in mind, the less questions asked upfront, the more likely the policy estimate will differ from the offer. However the calculator does appear to qualify a much broader range of applications than most. For someone who considers themselves “healthy” Q capital’s calculator returns a positive qualification at 70 years old, as opposed to Magna’s 85. Setting up a consult from there only requires contact information, no medical questions. The main downside to Q capital is it’s currently not licensed in all 50 states. So there you have it. Whether you prefer speed, an established reputation, or an easy online process there is a life settlement company for you. And if you’re still confused about exactly what a life settlement is check out our comprehensive overview.